Today proved most interesting & educational. It started when I received CAD data from Volkswagen on their new AdBlue system, or more accurate the location of the AdBlue Tank in the Volkswagen Crafter vehicle. First the files came in as a .ctp format & a Folder labelled ccrypt. So that took a phone call to work out (a compression encryption program) & a method of extracting the file into the iges files they were suppose to be. (Drag & drop the file into the entschluesselin.bat file. See that was easy! So after sitting around watching the green bar scroll across the screen a few hundred times. I ended up with, well very little apart from the Warning Message & two greyed out Assembly files. Nothing to be concerned, just Unsuppress. 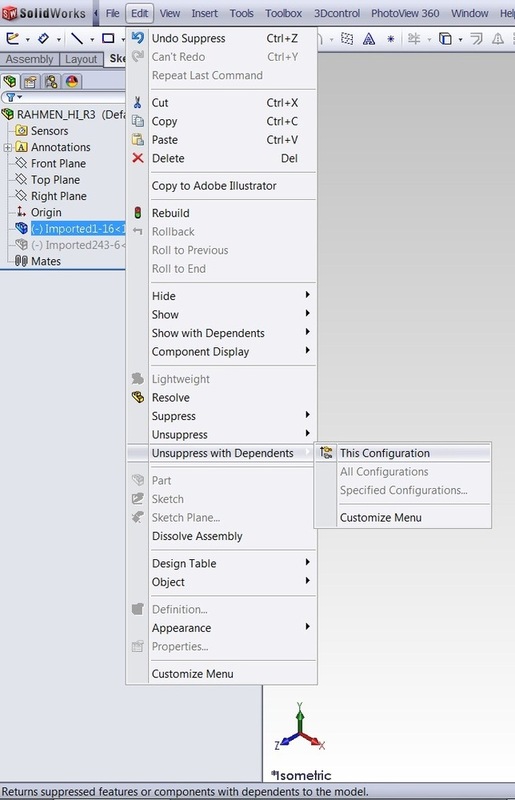 The SolidWorks Community responded with plenty of suggestions & advice. Which lead to more Suppressed Sub Assemblies & even more Suppressed Parts! Special Thanks to all my friend, @SteveOstrovsky , @gupta9665 , @MegaHertz604, @JeffMirisola , @gol10dr , @MetalDesigner for the advice & support. 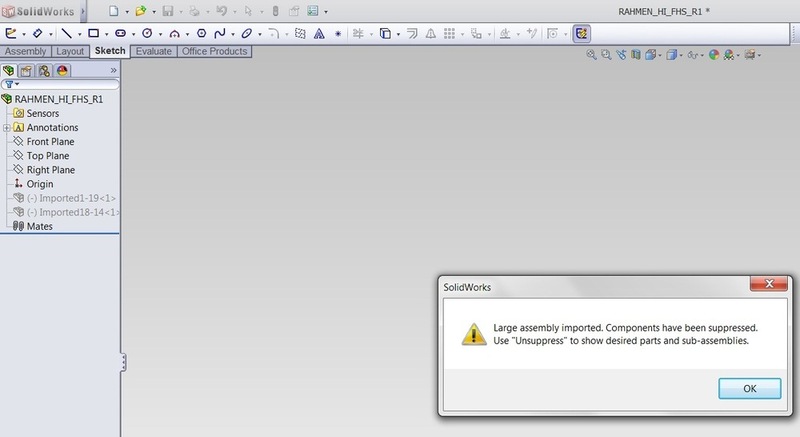 ← UPDATED – From #SolidWorks & PhotoView 360 (Updated Images) to Plugs & Molds, then on to Prototype! I love these types of posts! Keep it up, and thanks for the plug. Thanks Dan. It’s the one thing I miss from most of the other SW bloggers. 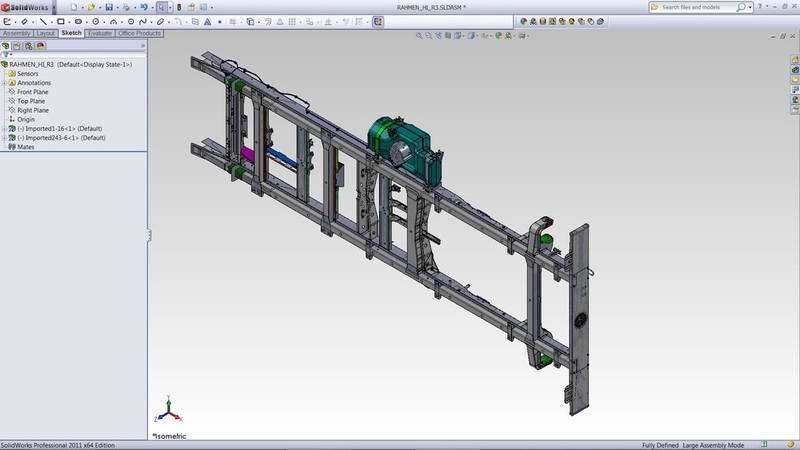 A few years ago there were lots of post like these, but most of there blog’s have evolved away from the basic – intermediate level.It can be the start of my series What Michael doen’t know about SolidWorks! That should give me years of posts!